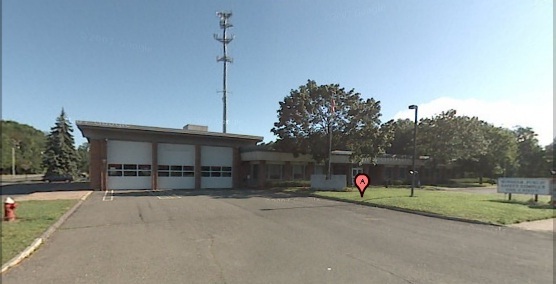 Station 1 is located in the west wing of the Public Safety Complex and was built in the late 1960s. Its location close to the highway and placement on Bloomfield Avenue make its crews able to respond quickly to its first due district of Windsor Center. It hosts one of 2 aerial companies in the town and has engine and rescue capabilities. Directions Located directly off I-91 Exit 37 (Bloomfield Ave Rt 305) is directly east of the highway on the northside of Bloomfield Ave between McDonalds and the Police Department. Parking is available down William Street behind the fire department. Station 2 is located where a public park used to reside until the facility was built in the mid-1990's on the corner of RT 218 and Pine Lane. Its location close to the highways (both I-91 and I-291) make its crews able to respond quickly to the South End (Wilson) part of town which might be where the term SouthEnd Expressoriginated for their apparatus. Wilson's focus is on Rescue operations in buildings, on the roadway or in marine locations. Directions Located directly off I-91 Exit 35B (Rt 218 Putnam Highway) is directly West of the highway on the northside of Rt218 with access on Pine Lane. Parking is available behind the fire department which is the second driveway on Pine Lane. Station 3 went under major renovations in the early part of this millenia to expand the original building to accommodate the departments growing needs. Located on Poquonock Ave (RT75) on the corner of West Street it covers the largest geographic area of the four companies and responds to calls in the fastest growing part of town. Station 800 also acts as a supplimental first responder due to its distance from the highway and the remoteness of some sections in the district. Directions Located on Route 75 south of the Farmington River and north of Elm Grove Cemetary on the west side of the road. Access from I-91 Exit 38 and heading north or Rt 20 on the Rt75 exit and heading south are your options. Parking is available behind the fire department which can be accessed from Poquonock Ave or West Street. 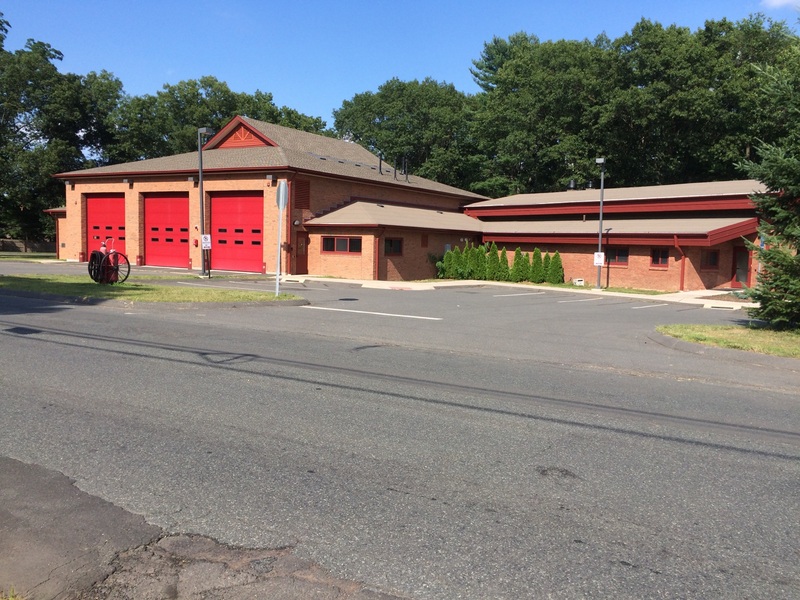 Station 4's brand new, state of the art building, covers a diverse base of commercial, industrial and residental as well as the historic section of town bound by the Connecticut River. Hayden Station is the other rescue company for the town and primarily covers the northeast section of town. Directions Located on Basswood Road east of Kennedy Road and west of Macktown Road on the north side of the road. Access from I-91 Exit 39 and heading South or from Rt 159 going down Macktown until is becomes Basswood. Parking is available behind the fire department off Pond Road. Station 5 Created to provide coverage for a rapidly expanding part of town, Station 850 is located to assist Station 800 with the help of the same pool of personnel who live up in this part of town. Directions Located on Rainbow Road west of the Merriman Road and east of Stone Road on the north side of the road. Access from I-91 Exit 38 and heading north or getting off RT 20 at International Drive and coming around. Parking is available behind the fire department.